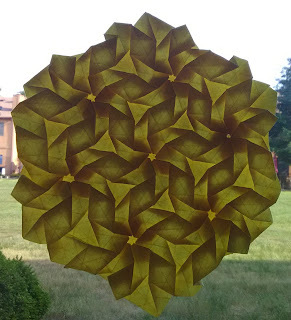 Here's a single module version of a crease pattern which can be tessellated infinitely. 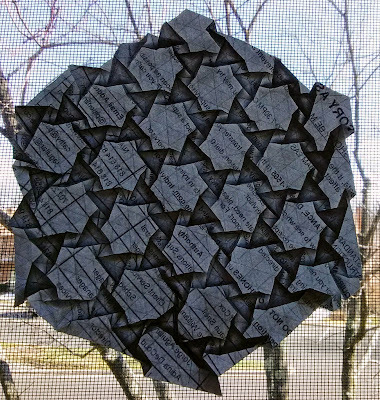 It's a flagstone tessellation designed by Robin Scholz who posted the crease pattern here. Flagstone tesses are interesting in that you kinda need to precrease and then assemble all at once. 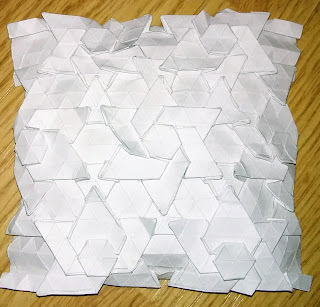 Unlike more traditional tessellations where you simply fold a small portion and then continue folding small portions, flagstones don't lay flat in the intermediate stages. Each twist is dependent upon the other twists which emanate outwardly from it. Or at least, that has been my experience. They are a lesson in patience and persistance. On large grids with many twists it can get kinda crazy. Still, the results are worth it. 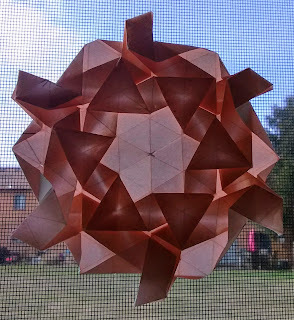 Little girds like this one are great practice and still pretty interesting when complete.